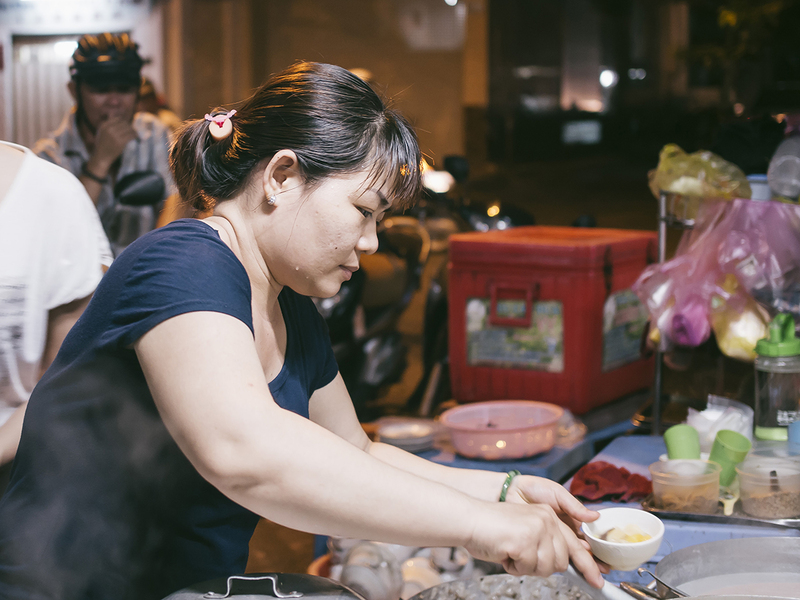 Ask someone about Việt Nam and you’ll likely hear three things – the scooters, the beaches, and the street food. The seriously grubbin’ street food. Walkin’ through Ho Chi Minh City, you can’t go a block without the smells hitting you. 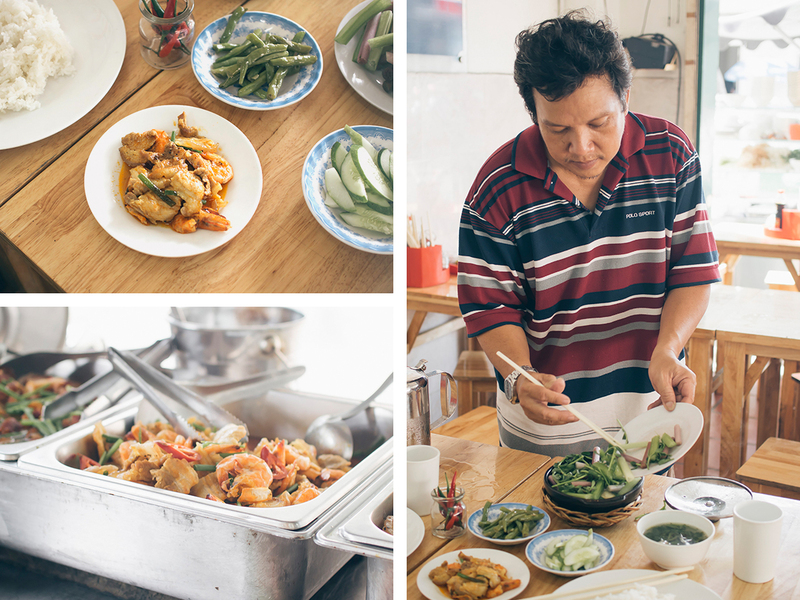 Frying pork and dried squid, noodle soups and steaming vegetables, fish sauce and peanuts and fruits. All mixin’ it up into one giant GOTTA TRY IT ALL. Hold that thought. 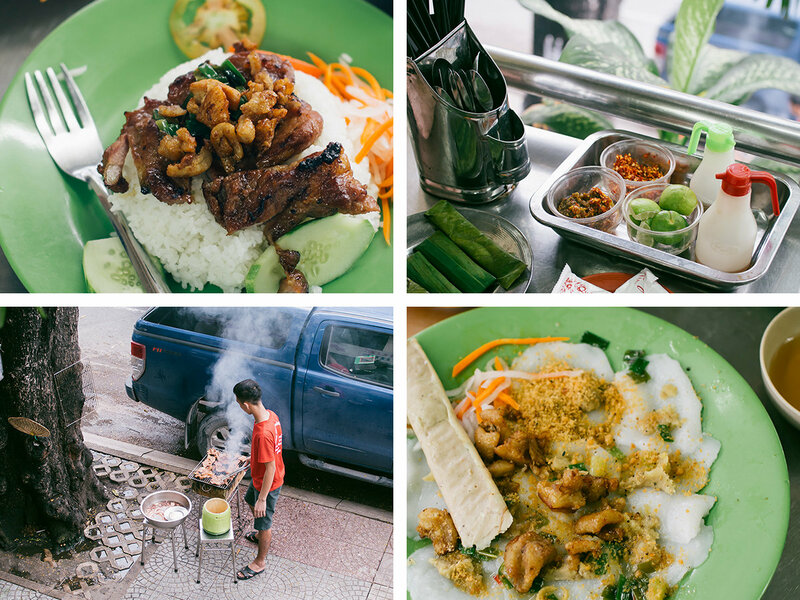 As amazing as the Saigon Street Food scene is – it’s also overwhelming. There’s the number of places to choose from (at least one homie on every corner, stooped over a grill), and there’s also the variety. Dishes we’d never seen, flavor combos we’d never experienced – and how do you eat it? Like, literally, how?? Order one thing and it shows up in five dishes. Do we mix, do we match? Shove it all in, hopin’ for the best? We lucked out – we met up with locals. 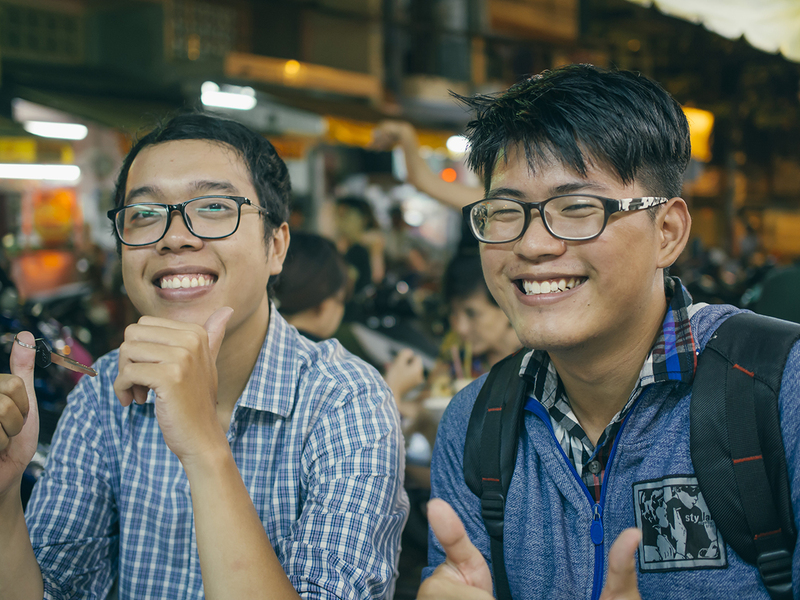 Trung and Justin, two Saigon natives. One cup of coffee turned into an hour-long chat (as cups of coffee do in Vietnam). They asked if we had any plans for the afternoon. And BOOM – just like that, we’re off on a scooter adventure, makin’ our way through the streets of Saigon and stopping to eat M’THR F’IN GRUBBIN’ food. Scooters roll up, waiters scramble to pull up tiny plastic chairs and tables on the sidewalk. Justin put in the orders and the food started piling up. Banh xeo (Vietnamese “pancakes” filled with shrimp), gỏi đu đủ bò khô (green papaya salad with beef jerky), fast food bánh mì, Chinese noodle soup with sủi cảo… Our bellies may have been achin’ but we couldn’t say no – everything we ate was better than the last. 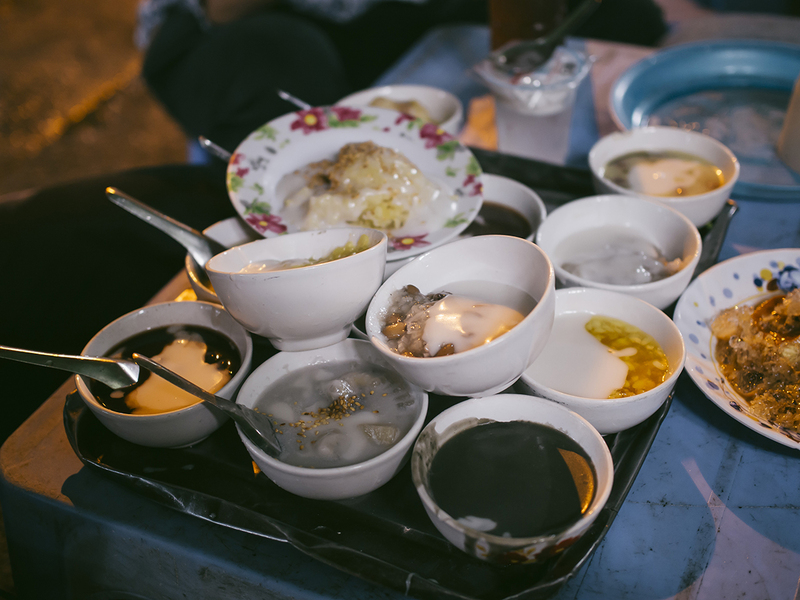 Fifteen perfect dishes of chè – porridge-like desserts made from black beans, red beans, mung beans, corn, rice, black sesame seeds. Some sweetened with dollops of coconut cream, all sweetened by sugar. Not too sweet though, and just a bit warm. Comforting. 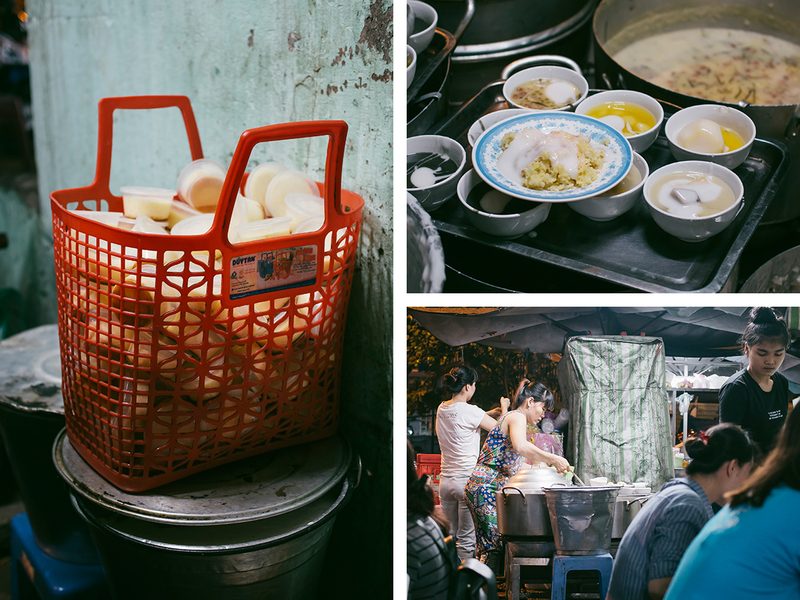 This was by far the most hoppin’ street-food spot we’d eaten at – and the ladies cookin’ the goods were hustlin’. 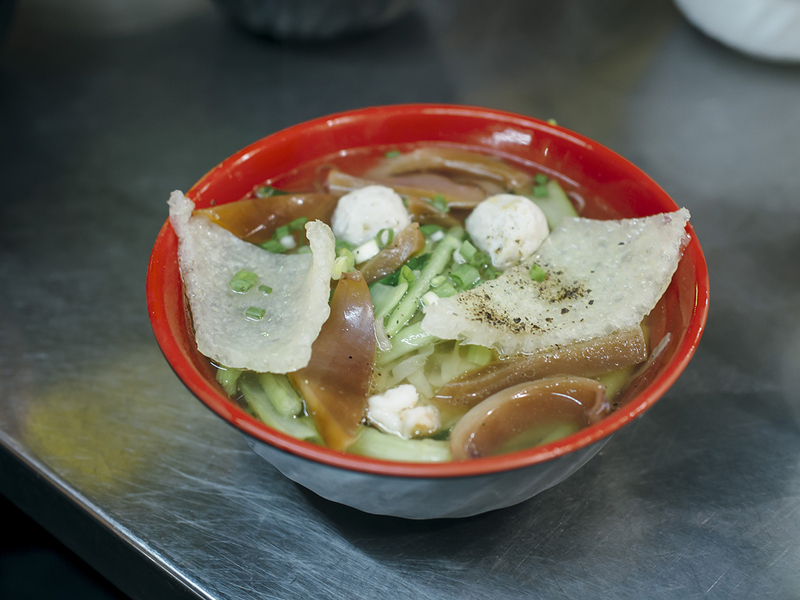 One dish stood out from the rest – a perfect little ball, floating in thin sauce. Trung pointed to it. This simple dessert inspired one of the most famous Vietnamese poems, one that’s still taught almost two hundred years later. Something small turned to something mighty. 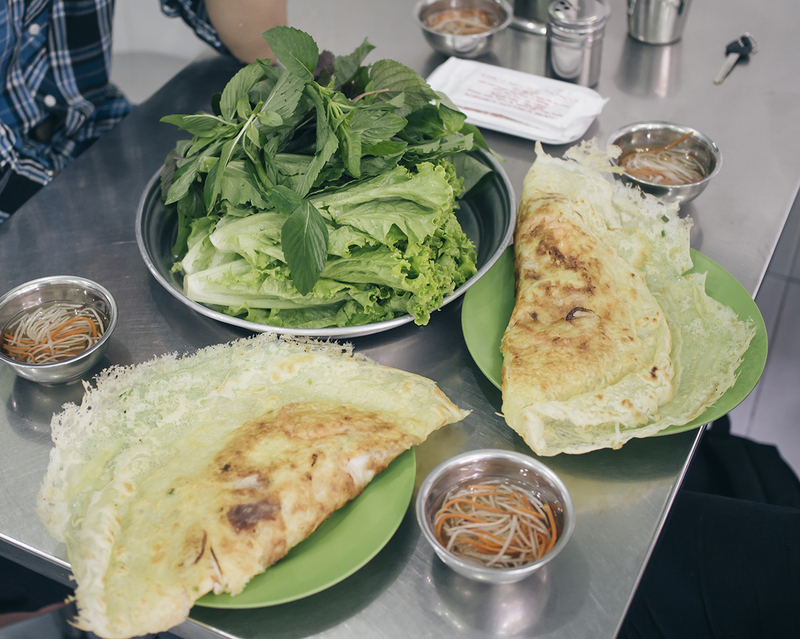 Food be the heart and soul of so many cultures, and Việt Nam? Việt Nam gets it.